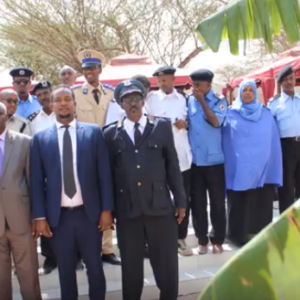 In line with the Government’s National Development Plan and an overall policy of promoting Foreign Direct Investment and the Tourism Sector, the Ministry of Interior, while taking into account the security needs of the country would like to implement the following changes to improve service delivery and ensure compliance with international standard and practices through the Somaliland Immigration Department. 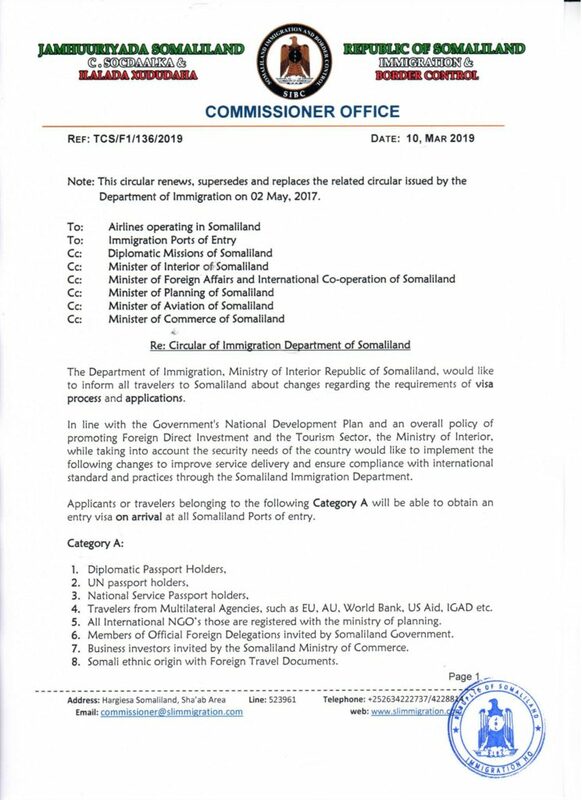 Applicants or travelers belonging to the following Category A will be able to obtain an entry visa on arrival at all Somaliland Ports of entry. 1. Diplomatic Passport Holders, 2. UN passport holders, 3. National Service Passport holders, 4. Travelers from Multilateral Agencies, such as EU, AU, World Bank, US Aid, IGAD etc.5. All International NGO’s those are registered with the ministry of planning.6. Members of Official Foreign Delegations invited by Somaliland Government.7. Business investors invited by the Somaliland Ministry of Commerce.8. Somali ethnic origin with Foreign Travel Documents. 9. Travelers from the following Countries can obtain visas on arrival. Europian Contries, Canada, USA, Brazil, China, Russia, Turkey, Egypt, South Africa, Morocco, Tunisia, Members of Gulf Cooperation Council (GCC) such as Saudi, UAE, Bahrain, Qatar, Oman, Kuwait, and IGAD Region Countries. 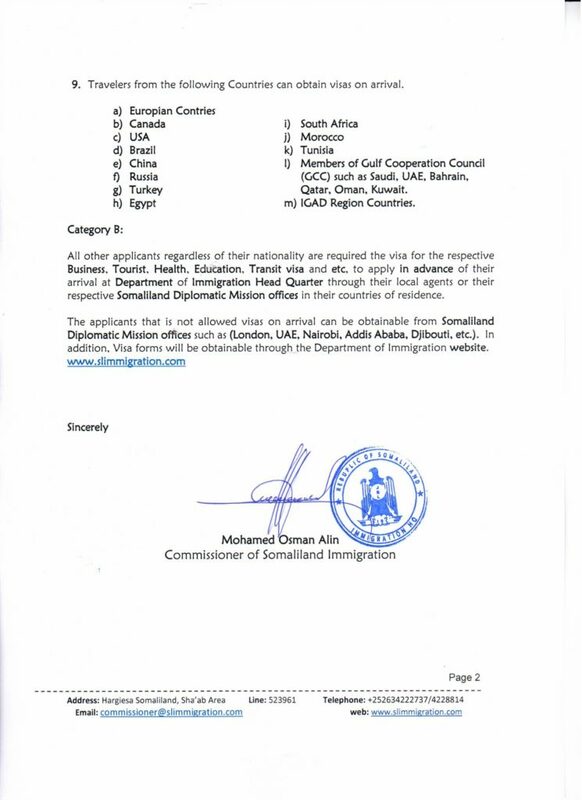 All other applicants regardless of their nationality are required the visa for the respective Business, Tourist, Health, Education, Transit visa and etc, to apply in advance of their arrival at Department of Immigration Head Quarter through their local agents or their respective Somaliland Diplomatic Mission offices in their countries of residence.